Burlinson Geochemical Services Pty. Ltd. These carbonate samples show intense decrepitation at high temperature which is difficult to interpret. 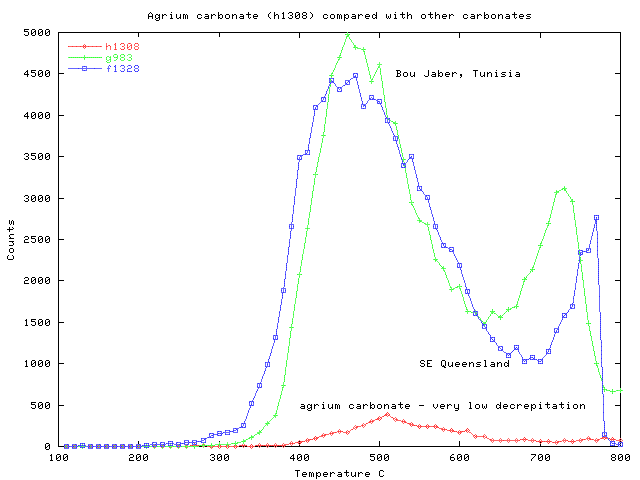 In comparison, here are some results from other carbonates in Tunisia, Queensland and Ontario. 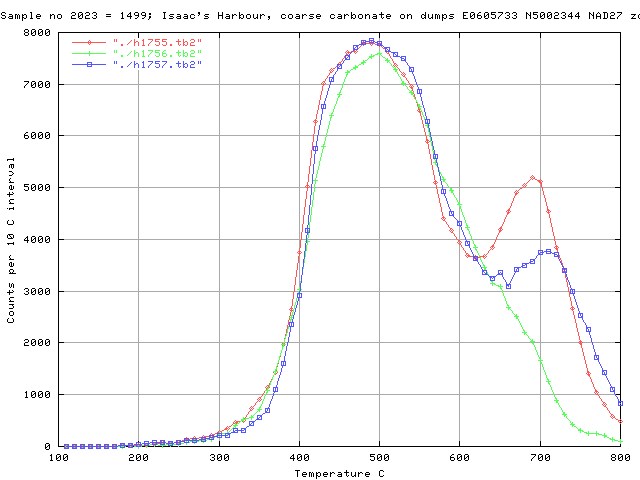 Almost all carbonates give intense decrepitation, but the temperatures of decrepitation do not seem to be related to mineral formation temperatures.